Our March 2017 Featured Blogger is Ashley Bounoura from Muslimah According to Me. 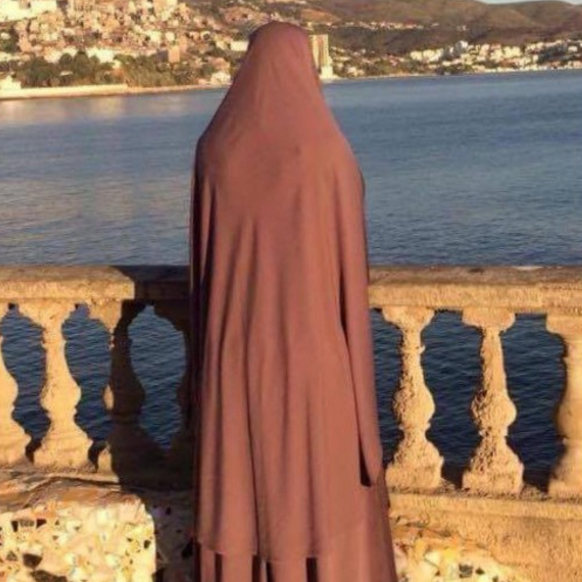 Ashley is a 20-something year old American Muslim, who lives in North Africa with her awesome husband. Besides a BA in Language Studies and an MA in Translation, she loves to read, needle-craft, and strives to improve her tea-brewing for the perfect cuppa. When she isn’t snuggling cats, you can find her writing over on her blog, where she shares her experience with Islam as well as resources and support for new Muslims. I started blogging just this past July, so not even a year ago yet! I mainly started my blog kind of out of frustration actually—I am very passionate about convert support and bringing awareness to the issues that converts face both in their home communities and the Muslim community. I would like to eventually start a convert support program in my local community, but I have been abroad and on the move for a couple of years now, so I am not in a position to actually begin working on all of these big dreams yet. I do love writing, however, and blogging can be free or very cheap and done from anywhere in the world, so I hopped onto WordPress one day and just created an account! By blogging, I feel like I am doing something I enjoy, and I am able to begin working on that dream of helping converts by sharing my own story and resources and building community and awareness. 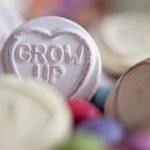 You mention you are a convert to Islam in your ‘about me.’ Did you feel that blogs by converts were lacking and your experiences needed to be shared? I don’t think that blogs by converts are lacking by any means. You can log into WordPress and search for things like “convert,” “revert,” or “new Muslim,” in the reader, and so many blogs will come up. 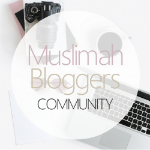 I know there are at least two or three convert bloggers just here in the Muslimah Bloggers communities, and I follow at least six more on WordPress. The beautiful thing about it is that no matter how many blogs by converts there are, I don’t think the market will ever be “saturated” so to speak, because every convert has such a different experience, perspective and story to share. I follow a blog of a Chinese American revert whose family was originally Taoist, and know another convert who is American of Indian descent; her whole family is Hindu and she has been keeping her Islam secret for around three years now! It is so interesting to see how different others’ perceptions and experiences are from what I experience on a daily basis. At any rate, like I mentioned above, I feel like my blog is more of a first step for me in the direction of fulfilling my big dream of getting involved in new convert support and resource sharing, and sharing my own story just tends to be a product of that. Do you feel as thought blogging is helping you (and others) learn more about Islam? For sure! Alhamdulillah, I have learned so much since I started blogging. I do some posts that involve tips and resources for new Muslims, and some that are like tafseer and hadith studies for new Muslims, and the amount of research I have to put into writing these means that I end up learning just as much as I hope my readers are learning! Plus, I have met so many awesome and knowledgeable sisters whose blogs I follow and learn from and who are regular readers and commenters on my blog, which creates this amazing atmosphere of sharing and learning all together. I don’t know if I can pinpoint one person in particular…I remember back before I had even officially converted to Islam, I was looking for some inspiration for a cross-stitched Arabic alphabet for something that I was working on for my then fiance and I stumbled across a blog called Sew Chic and Unique; it was a blog run by an Omani woman, and besides having a super cute Arabic alphabet to inspire me, I got so intrigued reading her posts about hijab, life as a Muslim woman, Oman, and crafting that I actually hit subscribe. That was my first ever blog that I followed, and I still to this day follow her, though she doesn’t write for that blog any more. She has always kind of been an inspiration to me, and reading that first blog was my first step into the general world of awesome Muslimah bloggers. 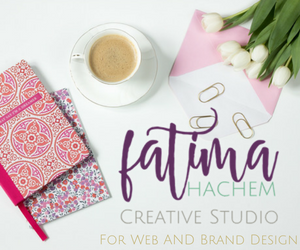 As I began to regularly read more and more blogs, I kept looking at the beautiful websites, the lovely graphics, the freedom to create and write and make whatever you want in your own little online space, and I kept thinking, I want to make stuff like that! So once I figured out exactly what I wanted to say to the world and what my purpose would be, I jumped right in. Internet troubles! I am currently based in Algeria, and in my town the internet is around 1989 level. To get anything substantial done I have to head to a cyber cafe, which is not my favourite place to go, as it is usually frequented by teenage guys playing video games or watching YouTube videos hours on end. I have 1.5 GB of data each month on my phone, so I usually use that for day-to-day social media and things like that, but it isn’t enough to really do all that I want to do. We had wifi in the house for a whole total of a month, but the signal came and went as it pleased so it was hard to get any work done, plus they just jacked up the price on us to a ridiculous £35 a month, for 20 GB of 2G internet, so needless to say that was a short-lived luxury! 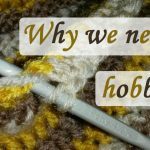 I haven’t really had any traditional paid kind of opportunities, but I have been invited to do a couple of guest posts and interviews (like this one!) that I had never expected so early on in my blogging journey. The best thing that has resulted from blogging for me has actually been the relationships I have built, or re-built in some cases. 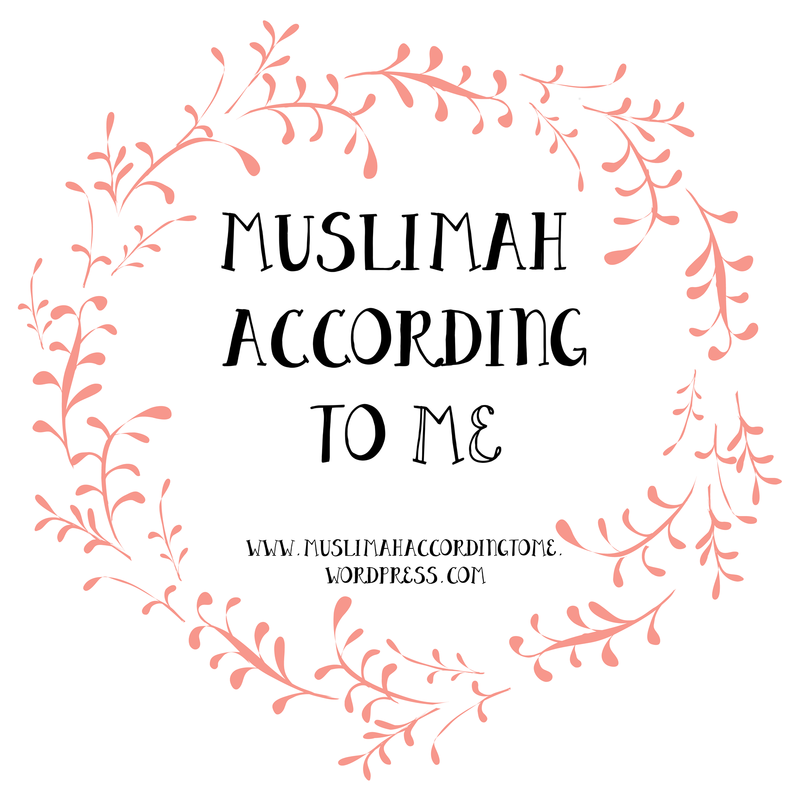 I have met so many amazing sisters that I am now in constant contact with, who truly do remind me of Allah swt every day, and inspire me to be a better Muslimah and keep striving in my blog. I have also had friends and family from the past that I had long assumed had closed their doors on me, stumble across my blog and get in touch with me in order to re-kindle the relationship, which has been so cool. I have to say, I don’t have any idea about this one! The online space is constantly evolving, and I can’t even tell where blogging might go five months from now, let alone in five years! Just in the past few years blogging has really taken off and changed so much from what it originally was. But I should hope I will still be doing it, in whatever format it may take in shaa Allah! Or at least still writing and sharing with the world in some way. What are your future goals for you blog? Is there anything specific you are aiming for? When I started my blog I viewed it as a kind of time-filler and a way to be doing some creative work while I wait for the ability to start in on the work I really want to be doing, which is a convert support program back in my local community in the United States. The vision I have in my head for that would look more like a main website dedicated to the program, resources, and events, etc, and then my blog would kind of remain on its own page on that site as more of a personal reflections type space. Also, I have been having a lot of guest posts on my blog lately, which I have been absolutely loving, so just the other day the thought entered my head that it might be kind of nice to eventually take my blog in a more collaborative direction, maybe having three or four main collaborators, still on the same kinds of topics, but more diverse perspectives. Plus I would eventually love to start making a bit of extra money from my writing. So who knows! I have a lot of ideas, but I am just taking it day by day and praying that Allah swt will put me in the position where I can be most useful to other converts out there! Really, just get out of your head and do it! I am a massive over-thinker, and a perfectionist to boot. I listen to a couple of business-y podcasts and they are always talking about how important branding is, and self hosting, and professional photography, SEO, etc, etc., so in the beginning I was super stressed out about all of that. But then I remembered why I wanted to do it, and the messages I want to share, and I just did it. My colour palette was all wonky (still is a little bit, but I’m doing my best with the DIY branding stuff! ), I didn’t have a very good theme, I still don’t know what to do with “SEO,” and all of those more technical aspects, but I am truly enjoying myself. I love looking at my website and saying, wow, subhanAllah, I created this! So if there is something you want to share, or you want to write, or even if you really like the design-y aspects of blogging, just go for it! Make a free WordPress account, set up a free theme and find some free stock photography. It won’t be perfect, but the journey is half the fun anyhow! JazakAllah Khair to Ashley for battling through some internet problems and answering our questions! Why I Don’t Miss My Younger Self?